In times of crisis like these, perhaps Love has never been more important than it is today. 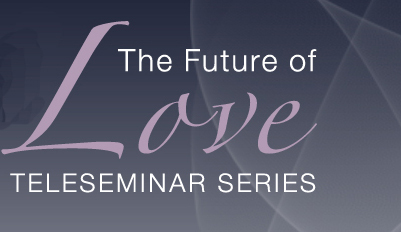 It’s for this reason that I’m delighted and honored to share with you that I will be participating in an extraordinary teleseminar series on The Future of Love which started already on April 17th. During this 25-week series, we’ll engage and explore the biggest topic relevant to all human beings on the planet– Love! Join me and over 20 of the world’s leading visionaries, spiritual teachers, thinkers and leaders dedicated to unfolding a new spirituality–including Ken Wilber, Deepak Chopra, Jean Houston, Warren Farrell, Traleg Rinpoche, John Gray, Lama Surya Das, Sally Kempton, Marilyn Schlitz, Brother David Steindl-Rast, Gabriel Cousens, Cynthia Bourgeault, Tami Simon, Robert Kegan, Sofia Diaz, Saul Williams, Eddie Kowalczyk, Dr. Marc Gafni, Diane Musho Hamilton, and others for this unprecedented conversation. All of these calls are free, which is cool. You can participate live, or listen to the recordings later at any time, from anywhere in the world. How do we find it, nurture and sustain it? Does Love mean the same thing today that it did a thousand years ago when so many of the great religious traditions developed their views about Love? How can we help Love evolve through our own development and transformation? What are the evolutionary Integral skills of Love and relationship that have the power to deepen our realization and to liberate our true and unique self? What new gifts for the world can emerge from this evolution? As another year approaches, imagine looking over a list of the things you’ve accomplished and other goals not yet attained. In reflecting back over your year, the things you’ve done and the challenges you’ve faced, can you see on your list the undertaking of a life-changing spiritual journey? If not, I would like to personally invite you to mark off a few days from your calendar to begin this journey on the Pacific Coast of California with me and the Integral Spiritual Experience teachers, along with hundreds of like-minds and friends from all around the globe. I am honored to have been invited to be a part of Integral Life this coming December. We will be looking at what it means to lead lives of deep and essential spiritual practice in the 21st century. Often our lives are hectic and leave little time for us to do this sort of reflecting on our growth as human beings, our truest longings, and the gifts of our heart that we want to share with the world. Attending the Integral Spiritual Experience is a second chance to add to your end-of-the-year list of accomplishments. We will be meeting new people who share our visions, learning about our unique self, loving and celebrating the New Year as a symbolic renewal of the amazing life we have been given. 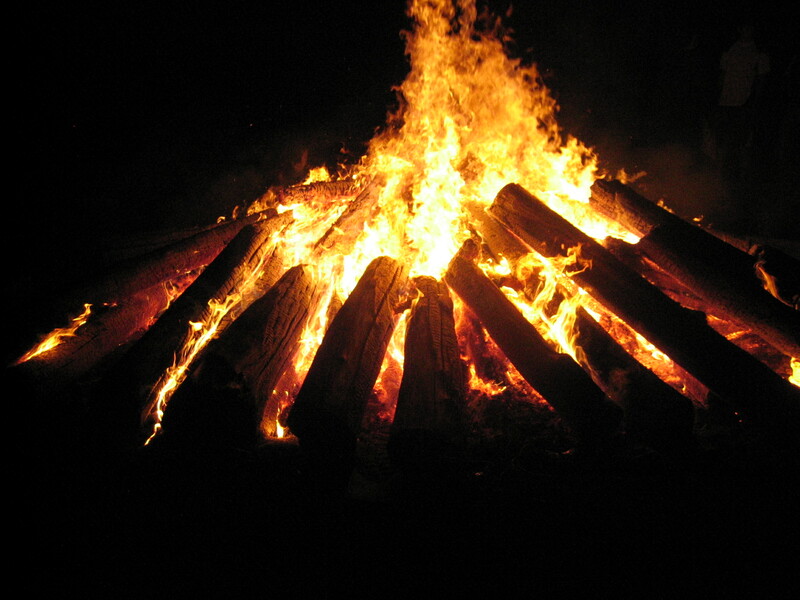 We will be celebrating this yearly rebirth on the Asilomar property wildlife refuge right on the Pacific Ocean. During this time there is a gray whale migration and the monarch butterfly, which the area is known for, is just beginning to hatch. It will be an exquisite unity of nature’s offerings and our inner gifts that will be coming forth for this time together. There is an important distinction to be made between translucence and traditional understandings of “enlightenment.” Very few of the people I have talked to would seriously label themselves as “enlightened.” At the same time, the overwhelming majority said that they were no longer seeking a state of enlightenment, although many had done so previously. Most said they no longer had any idea what the word was supposed to mean. This is in sharp contrast to the atmosphere of spirituality that existed even fifteen years ago, when most spiritual people were still following a guru, trying to win the cosmic jackpot.